The nature lover in me is constantly at war with my frustrated-gardener self. Here's a one-minute video celebrating the arrival of spring in my garden. 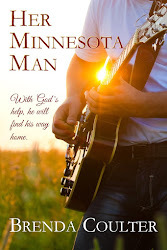 Many readers enjoyed my first short story, "Living it Up in Fiddly Falls," and asked for a sequel. So I wrote one. Hope you all like it! Whoops! I accidentally wrote a short story! She might be as old as the hills, but she's not dead. So what is Maryann Flemming's obituary doing on Page 4 of the Fiddly Falls Citizens Gazette? 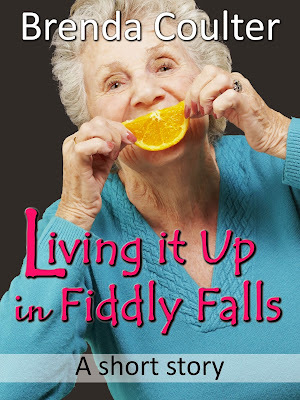 Click here to see "Living it Up in Fiddly Falls" at Amazon. I'm now updating this blog only sporadically, but as there are 1,004 posts (going way back to December of 2004), these pages still get a great deal of traffic from Google and other search engines. I know that some of you riding in on those links will check to see if I'm still blogging, so I just want to say: No, not really. But thanks for asking. If you're not a spammer, shoot a message to mail@brendacoulter.com. I'll usually reply within 24 hours. For daily chatter and tons of photos of my cottage-style flower gardens, check out my Facebook profile and my Twitter feed. ...and of course you're welcome to leave a comment on this blog post. If you'd like to view information about my books, please visit my website. Thanks so much for stopping by No rules. Just write. If you'd like to check out some of the 1,004 other posts, knock yourself out. You can locate entries by specific months and years by using the handy drop-down box at the bottom of the right-hand column. There's also a search box down there. On balmy summer evenings, I enjoy sitting on the bench behind the fountain in my lighted front garden. The splashing and burbling of water against a background of cicada music is immensely soothing. But last night the pink four-o'clocks and the orange crocosmia were practically glowing in the dark, making the garden a delight for my eyes as well as my ears. In an attempt to share some of that magic with other garden lovers, I grabbed my camera and made this very short video.